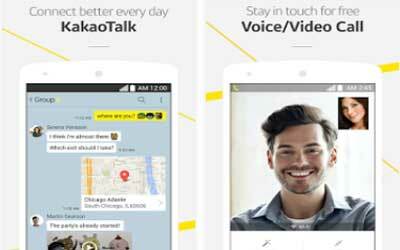 Previous version KakaoTalk 6.2.0 apk for Android will help you to downgrade or install older app easily. This is one of the best Communication apps. This kind of application is not only can be used as the main communication among friends and family but for those of you who are very creative in running business, then it can be used as the media for you for promoting goods in selling and buying process. There are many kinds of things that can you do by using this app starting from chatting, sending pictures, and even video call. Those things are very efficient to be used by you because you can use the application of KakaoTalk freely. You can ask the condition of your family that is living so far from you in other country by using this application. You also find your old friends who are never guessed by you can be met by you. By using KakaoTalk for Android, your life will be easier because you can do all the communication with many important people in your life. Besides, you also can save your money more due to the efficient by using it. You can now screen capture your chats in KakaoTalk. Go to Kakao Lab and enable Capture Chats and you will find the Capture menu in your chatroom’s + menu. You can now apply the new “White” theme to your KakaoTalk. Quality chat app. Nice chatting platform with good connectivity, however stickers are often overcharged with only a stock limit of free to use stickers available.